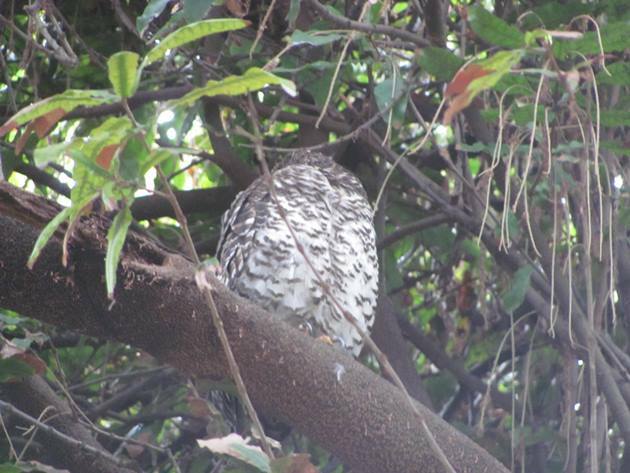 We had not observed a Powerful Owl since we were living in Portland, Victoria for a few months in 2009, so once the opportunity arose to go looking for one at the Royal Botanical Gardens in Sydney we took it! According to eBird there had been at least one Powerful Owl present recently and although the exact details were not available it is always worth going to look. The Royal Botanical Gardens are a huge area to explore and easily accessed by public transport. Our first attempt was not successful, but we were limited by the time of day and decided we should make one more attempt before returning home to Broome. 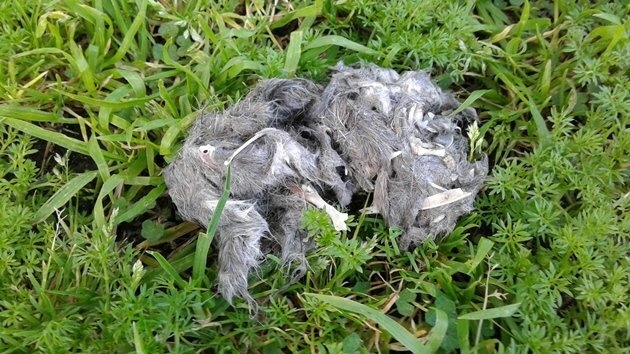 We had found a fresh owl pellet, but that did not produce an owl of any sort and was only evidence of owls in the area! On our second visit to the Royal Botanical Gardens in Sydney the weather was far from perfect, but we had only a couple of days left before we were heading home. 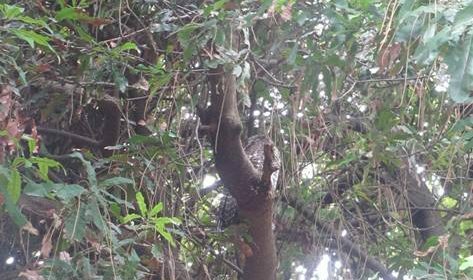 It was with great delight that Grant was the first to observe a Powerful Owl sitting high up in a tree with its head tucked in. It was a race against time as the clouds raced across the sky and we sat on the conveniently located bench under the tree looking at this magnificent bird. Powerful Owls are the largest nocturnal bird in Australia and the largest of the owl species. 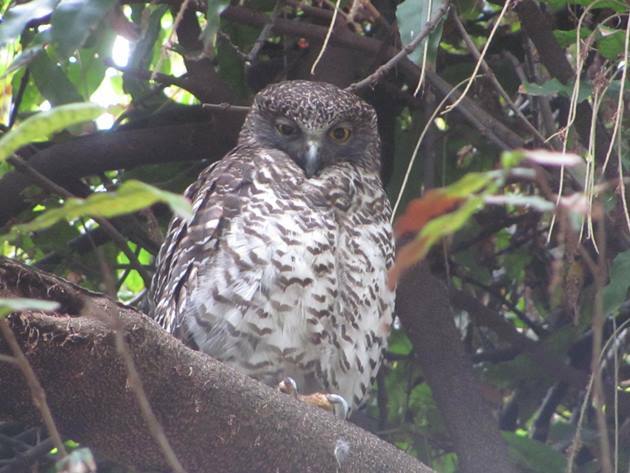 There is a Powerful Owl Project being run to learn more about how they are living in the cities in Australia. 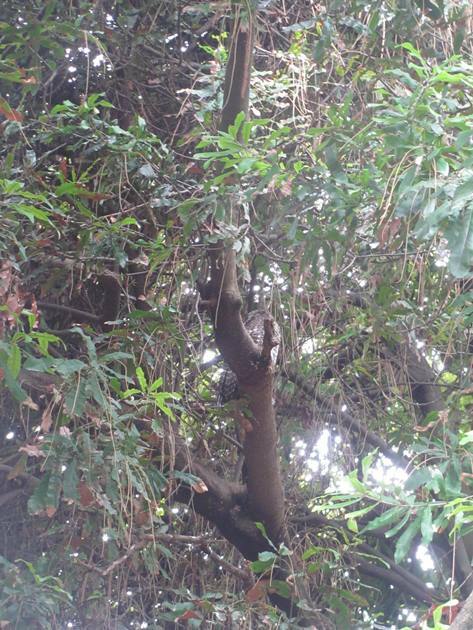 We were able to capture a few photos of the Powerful Owl roosting high up in the tree and then it started to drizzle. Powerful Owl on a dull day! Although the rain cut short our encounter with a Powerful Owl it did make it stretch out its head and open its eyes to see what was going on with the weather. This worked in our favour and we were able to take a few more photos before we had to make a move and get ourselves back to the train station. I am of course rather limited by my camera in this situation, but we were more than happy to see this Powerful Owl after so many years without seeing one. We have to be content with Barking Owls around Broome, which are also magnificent owls! Powerful Owl realising that it is raining! Another thrill about finding this Powerful Owl was that we were quite possibly looking at the same bird that Tom had been looking at earlier this year! Of course Tom got much better photos than me and you can see some of them here! Well, how cool is that! 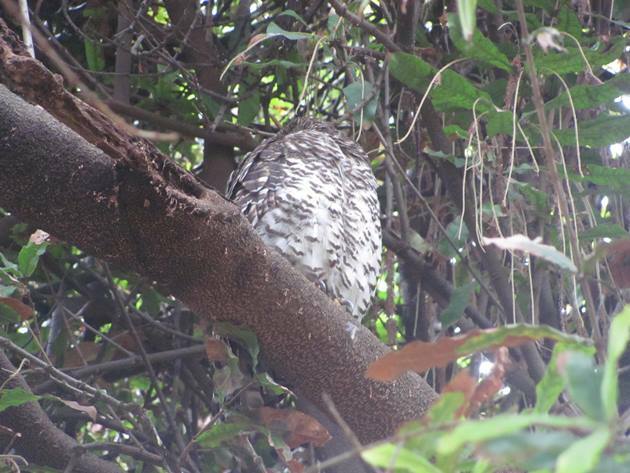 I would say the odds are pretty good that we have shared a Powerful Owl sighting! I am also not so sure that my photos are any better than what you got, those are great! 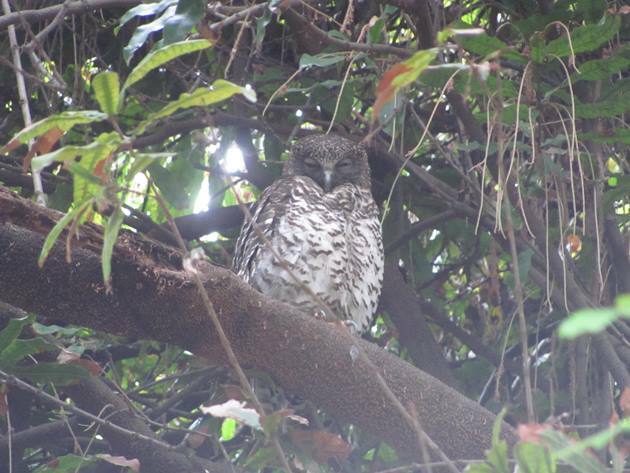 We like to think that we all saw the same Powerful Owl!